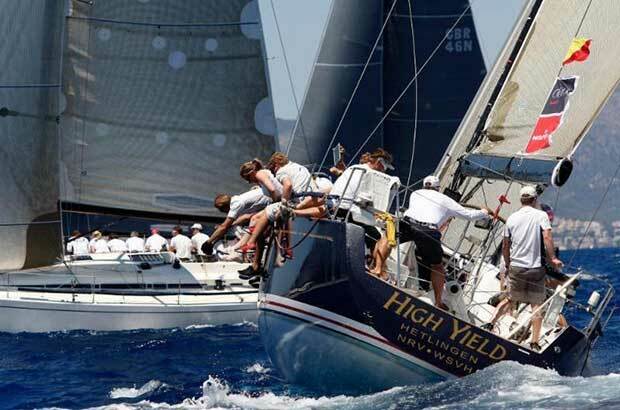 Record breaking conditions are forecast for the second edition of the Antigua Bermuda Race, with strong easterly trades expected to provide fast reaching conditions for the first two days of the 935 nautical mile oceanic race. High pressure east of Bermuda is expected to decrease the gradient wind, shifting south to create tactical lighter running conditions for the finish into Bermuda. The American turbo-charged Volvo 70 Warrior, sailed by Stephen Murray Jr. is expected to be the front runner and their current estimated elapsed time is inside the record set last year of 3 days, 20 hours, 32 mins, 41 secs. “Sailors superstition prevents me from predicting elapsed time, but we are optimistic we can shave off quite a bit of time from last year,” commented Warrior’s Stephen Murray Jr. “Our goals are a repeat of last year’s grand slam; winning CSA, IRC and a new course record, and we would also love to be the first recipient of the new Warrior Trophy for best IRC performance. We are so excited to have great competition from some very hot boats. This year, we will have our work cut out for us to beat Varuna and Teasing Machine; two proven winners in grand prix racing. Jens Kellinghusen’s German Ker 56 Varuna will revel in the reaching conditions and should prove very adept at the VMG running conditions predicted for later in the race. Three Spanish Volvo Ocean Race sailors will strengthen the solid German team; Guillermo Altadill has competed in six round the world races, Chuny Bermúdez won the last edition of the Volvo Ocean Race, and Jaime Arbones is a veteran of ocean racing. Other German contenders include: Joachim M. Brünner’s Andrews 56 Broader View Hamburg, class winner of the RORC Transatlantic Race, Hanns Ostmeier’s Swan 45 High Yield; Michael Orgzey’s Swan 48 Dantes; Sebastian Ropohl’s JV52 Haspa Hamburg, and Arnt Bruhns’ Class40 Iskareen. Like Iskareen, Hanns Ostmeier’s Swan 45 High Yield will be competing in the Bermuda to Hamburg Transatlantic Race: “We have a crew of six, ranging in age from 30 to 70 years of age who are all from Hamburg. 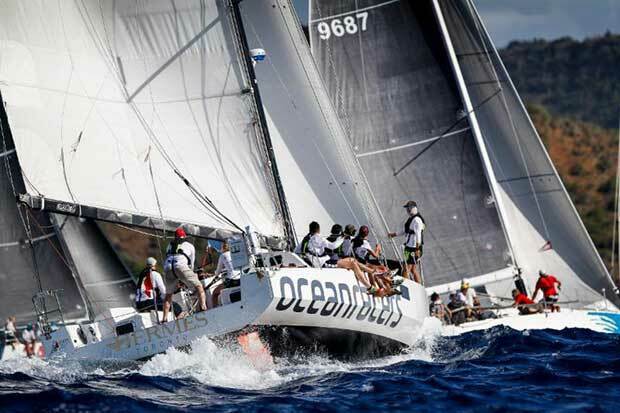 The race to Bermuda is an ideal way to get to the start of the Transatlantic Race this summer, and six is an ideal number. We will have a larger crew for the Atlantic Anniversary Regatta,” commented Hanns Ostmeier. The international fleet for the Antigua Bermuda Race includes Jeremi Jablonski’s American Hanse 43 Avanti which is back and looking forward to the race. Avanti was runner-up last year in both CSA and IRC. Canadian entries include Morgan Watson’s Pogo 12.50 Hermes, Juan Grunwaldt’s Bavaria 56 is from Uruguay, and Louis Goor’s Oyster 575 Irene III from Ireland.